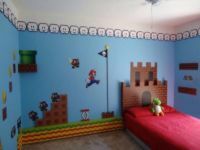 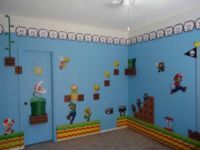 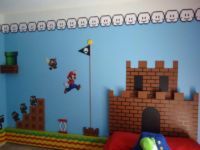 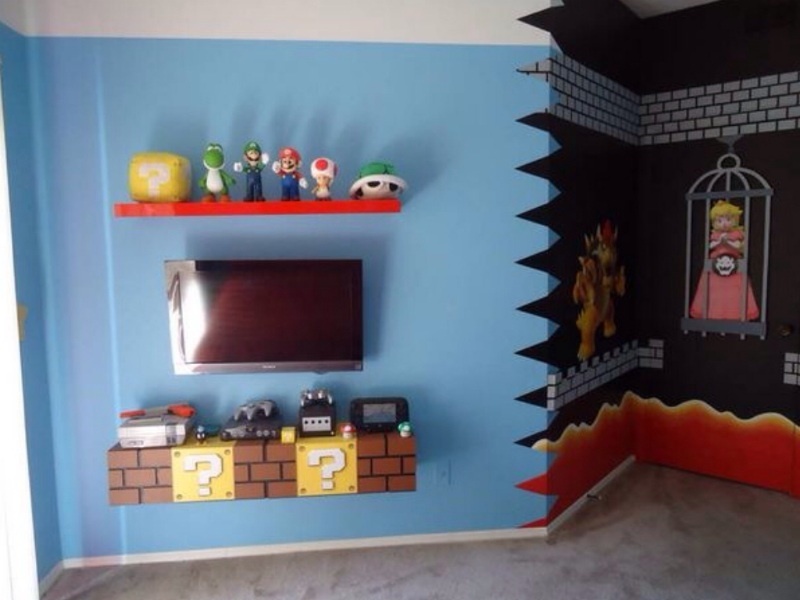 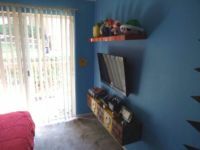 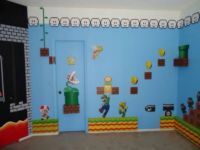 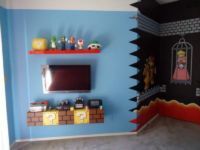 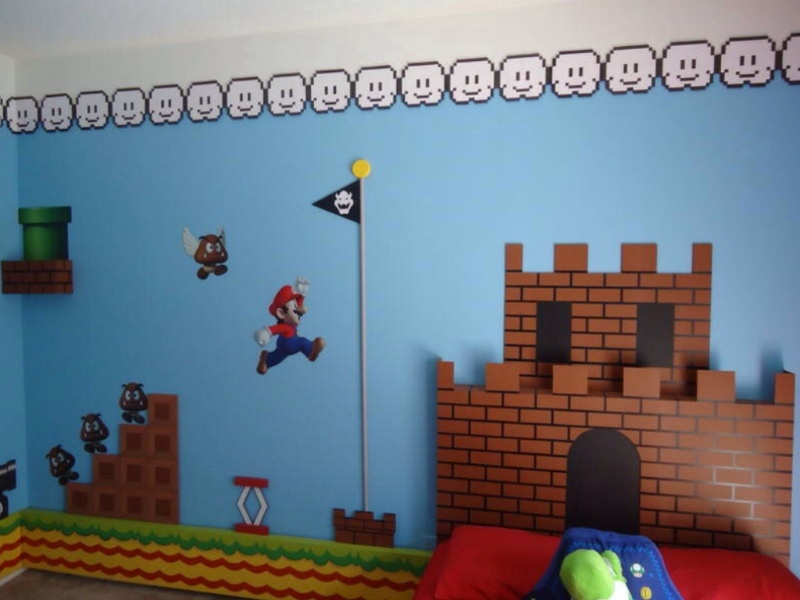 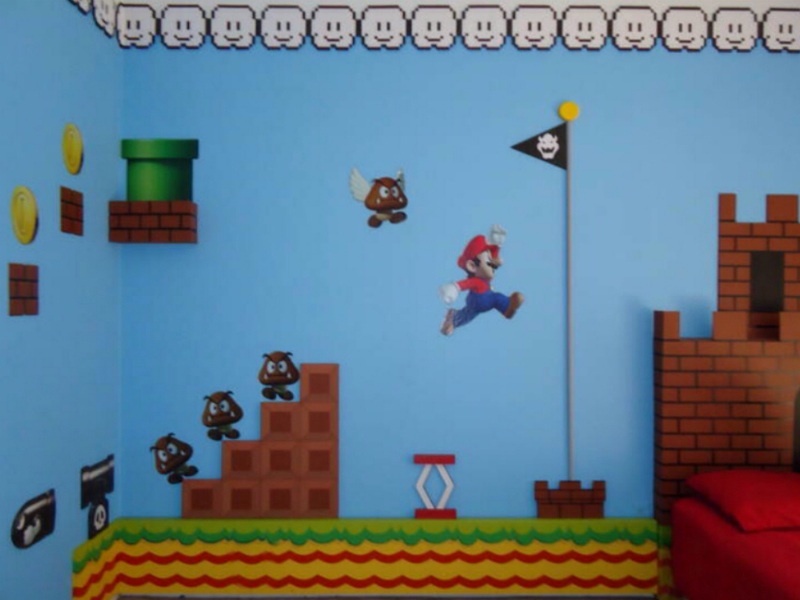 This Super Mario bros. kids bedroom will bring you directly into the video game. 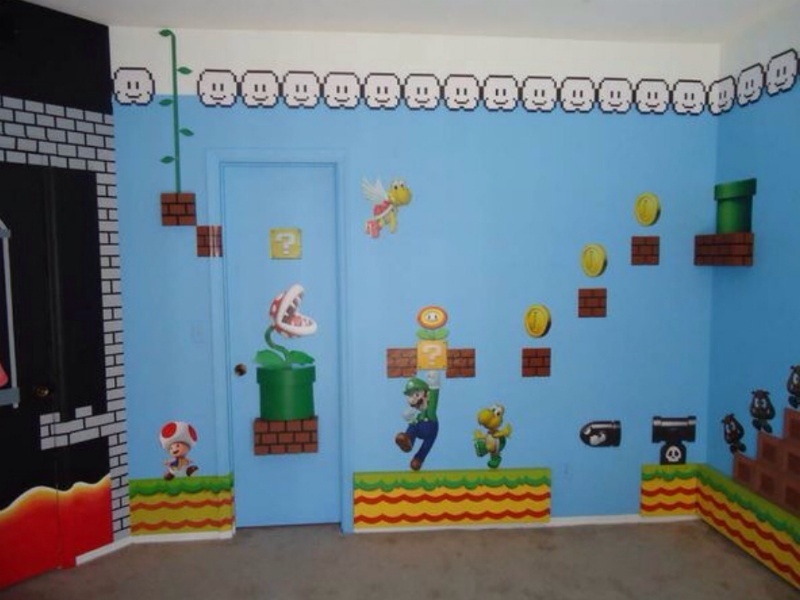 As you enter the room you see the walls replicate a full level in the Super Mario Bros. series. 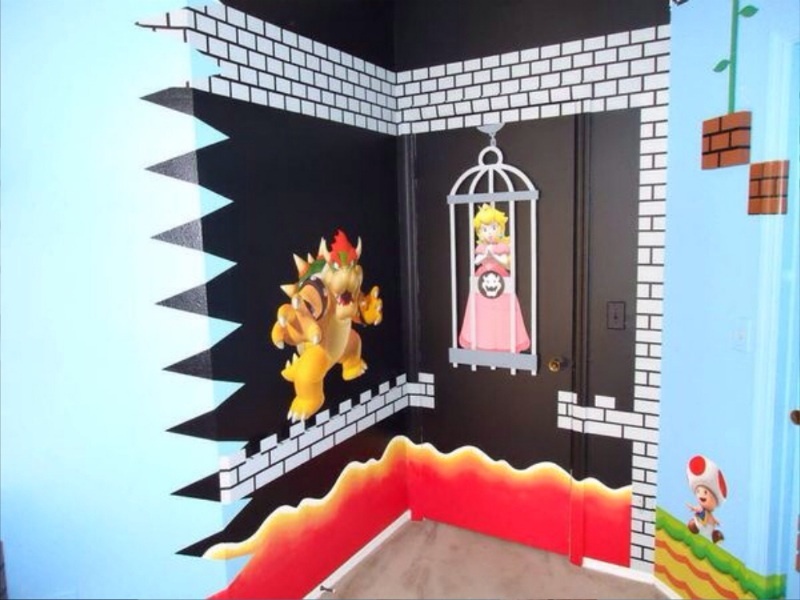 The level wraps around the room reaching the end of the level where Bowser has captured Princess Peach. 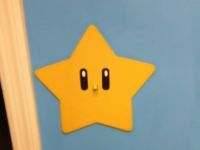 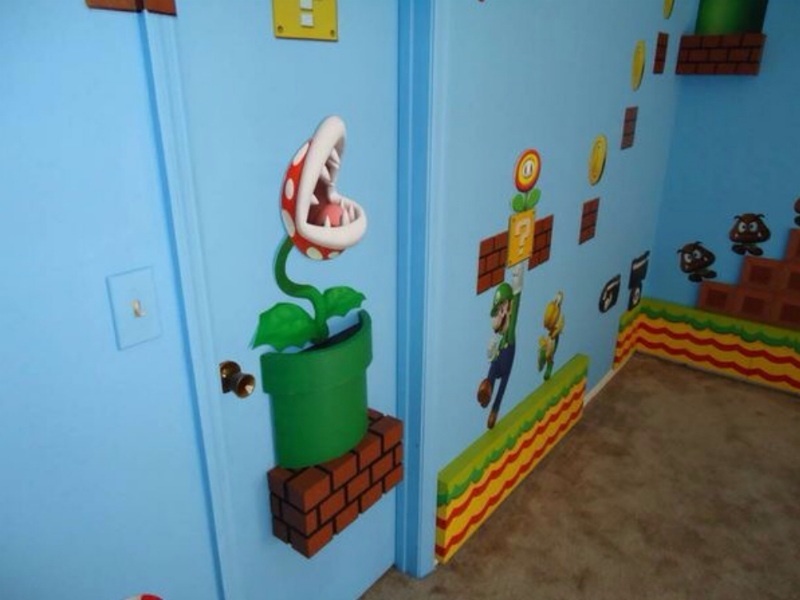 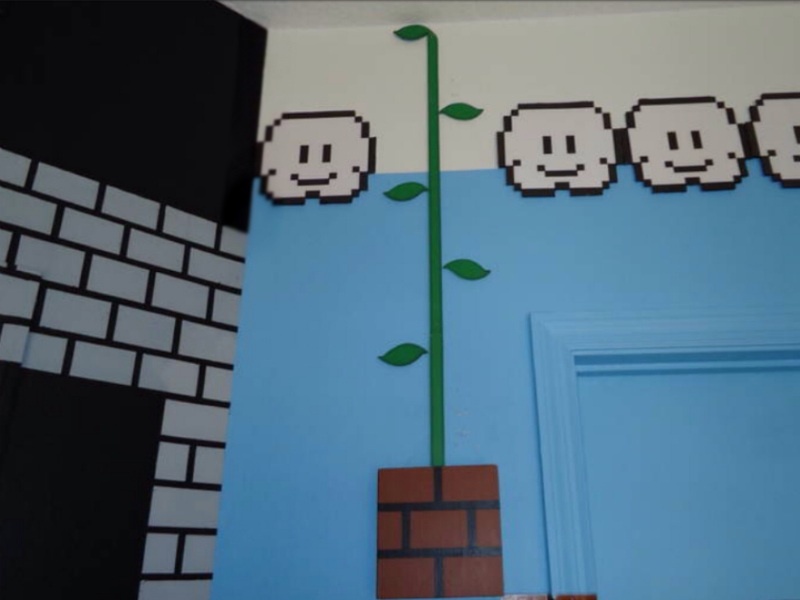 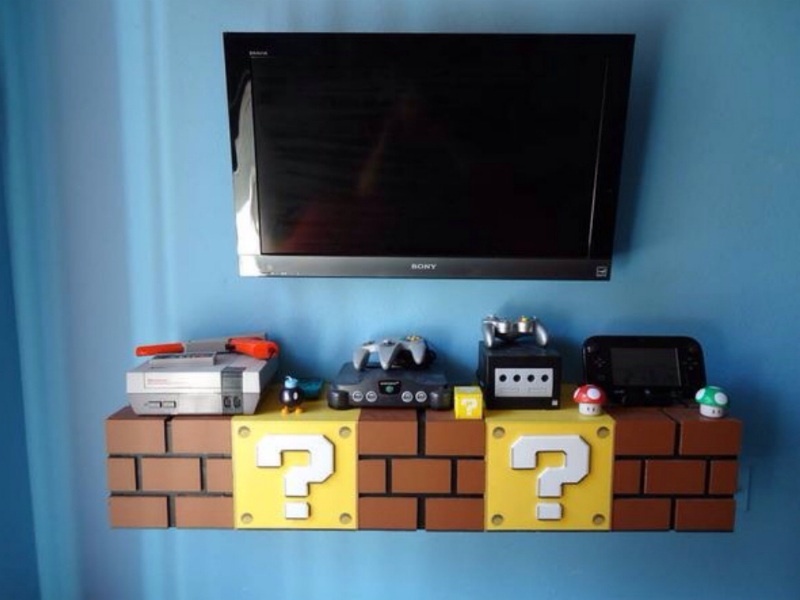 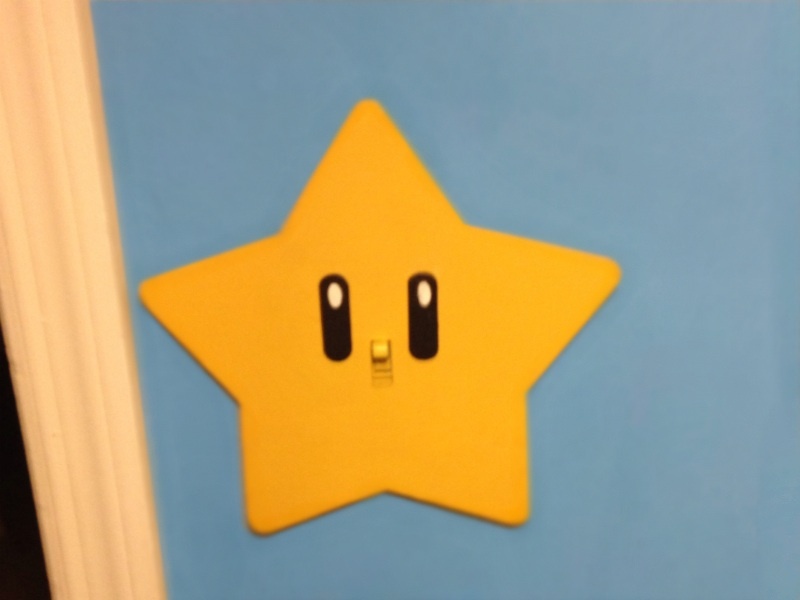 Along the way are a vine block, a warp pipe shelf, a star wall switch cover and ten characters. 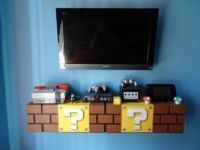 Custom built brick shelves hang under a television and store video games and accessories. A castle backboard serves as the end portion of the level where Mario jumps for the flag and enters the castle. 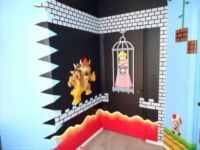 Enjoy the pictures and videos below.